It’s that time of year when everyone loves being in the Seacoast. 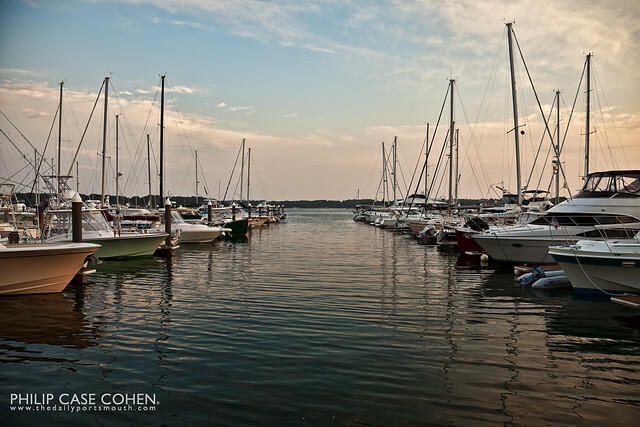 The Wentworth Marina in New Castle is no exception, and the water is packed with all types of boats. This was the first time I’d ever made my way down to the docks below the Latitudes restaurant that belongs to the upscale waterfront hotel…and I was blown away at how fancy everything felt, even though I had expected it to be of the highest quality. The setting was surreal, though the lighting wasn’t the best…but I was happy to come away with this shot and a few others that will make their way to the site over the next couple weeks. I think that the low light is one of the things that makes this shot look absolutely beautiful. Love it!